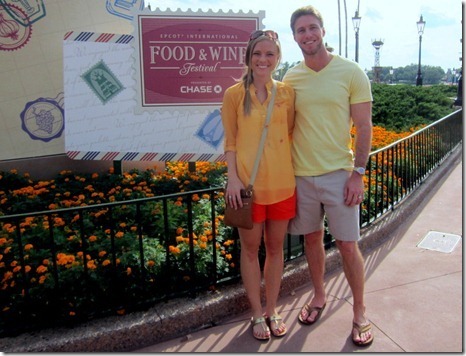 Ryan and I unplugged yesterday and drove to Orlando in the early afternoon for a day at the Epcot Food & Wine Festival! Temperatures peaked right around 80 degrees, so the weather was absolutely perfect for a day at Disney! 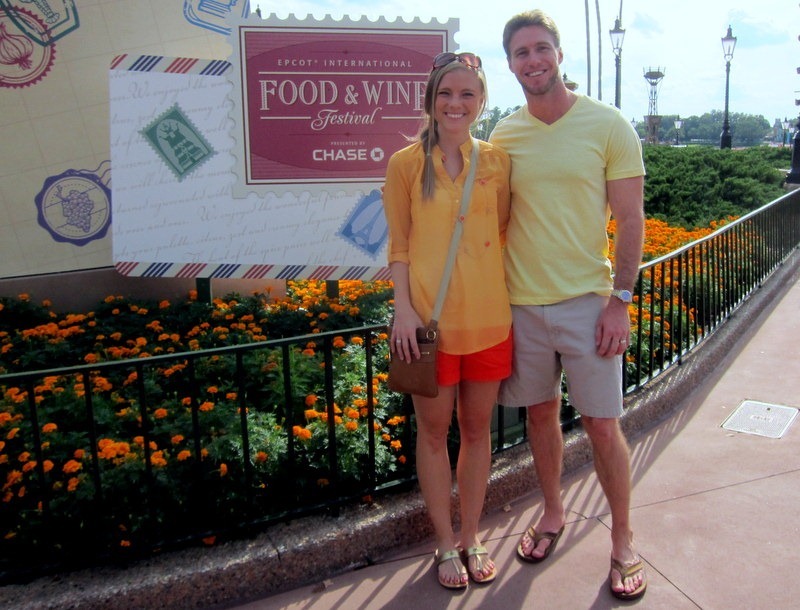 We were invited to the park to attend an evening event sponsored by Driscoll’s, the family-owned berry company based in California, but arrived several hours early so we could have a little day date at Epcot! 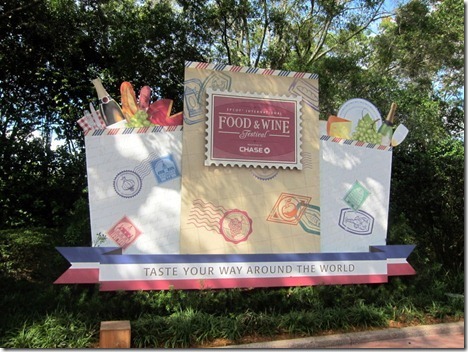 Ryan and I have been to the Food & Wine Festival at Epcot one time before (when I had my major freak-out on Mission Space and discovered I’m claustrophobic), so we were ready to dive into the festival again and try food and drinks from various countries. Before making our way around the park, we made a beeline for Soarin’, the IMAX projection ride that simulates hang gliding over California. During the ride, as we soared over Yosemite and Napa Valley, the smell of pine trees and orange groves hit our noses. I swear, Disney thinks of everything! 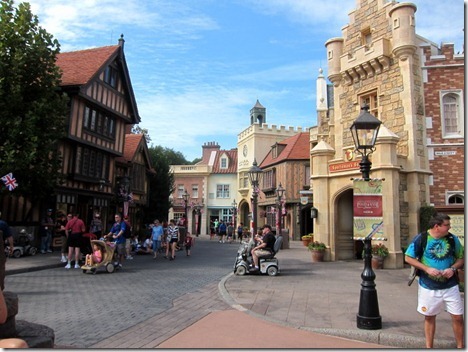 We did a couple other smaller rides in the same area before exploring the countries in Epcot. 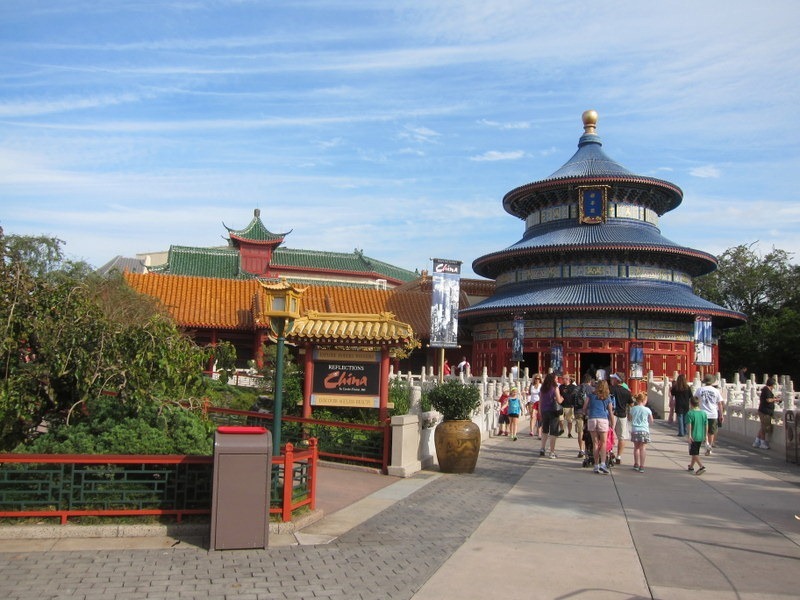 For those of you who have never been to Epcot before, it is home to the World Showcase, a collection of international pavilions that feature shops, attractions and restaurants that represent the culture and cuisine of 11 different countries. Say hello to the United Kingdom! To my wonderful United Kingdom readers, does this look like home!? 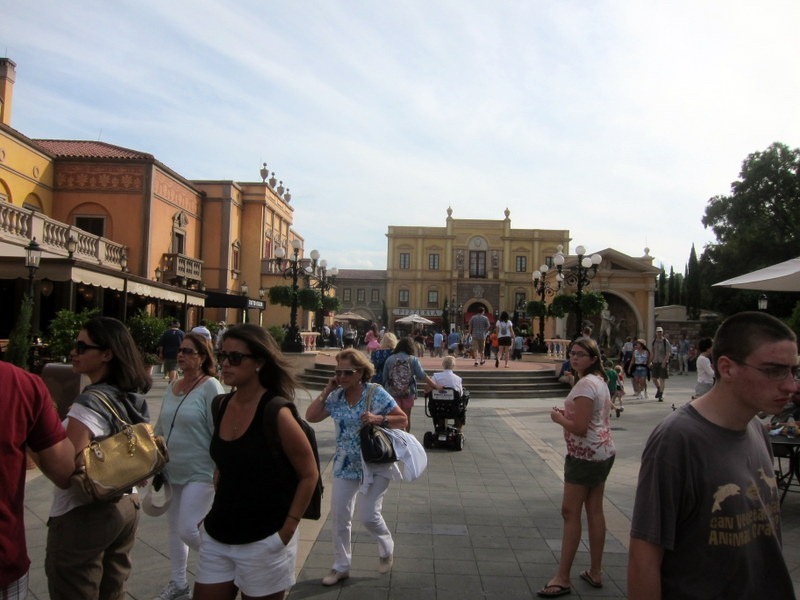 We spent time in all of the countries, including China and Italy featured below. 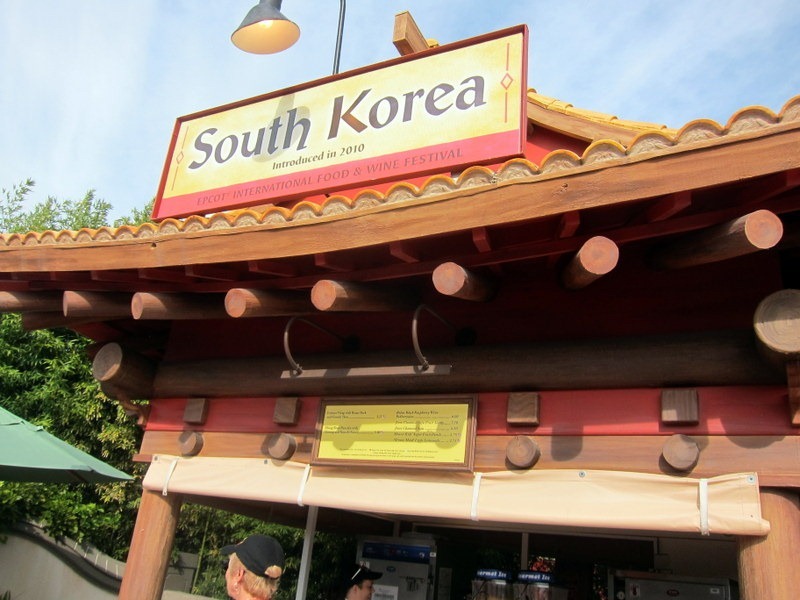 We bought food and drinks from the little booths set up around the park and our favorite dishes of the day came from South Korea and France. The lettuce wraps we purchased from South Korea were topped with roast pork and kimchi slaw and tasted incredible. 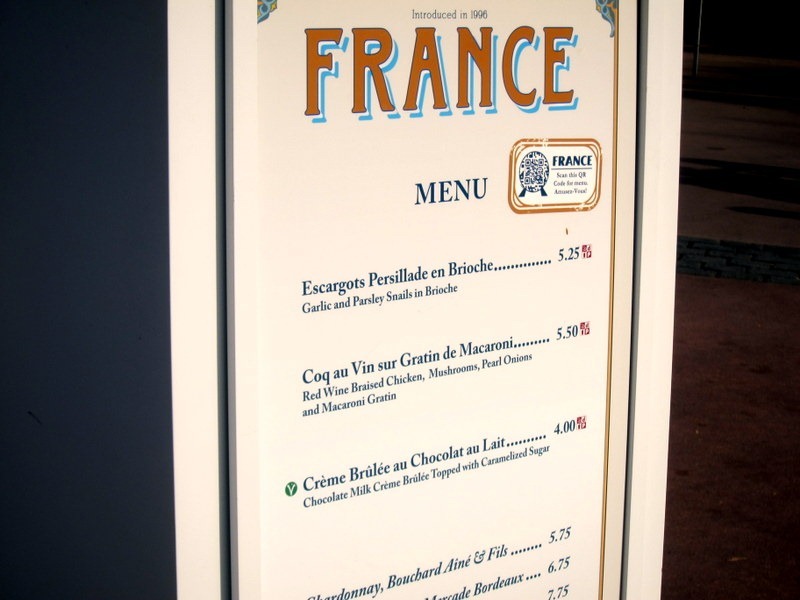 In France, we bought the Coq au Vin sur Gratin de Macaroni. It doesn’t look like much on the plate, but the macaroni gratin underneath the braised chicken was very rich and cheesy. My favorite dish of the day! 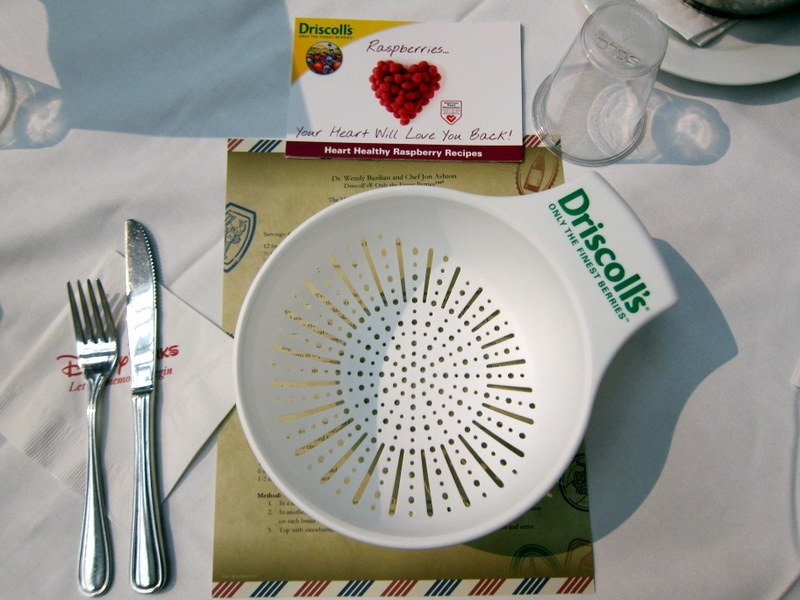 At around 4:45 p.m., we met up with a bunch of other Orlando-area bloggers and writers at the Festival Center for the Driscoll’s event. 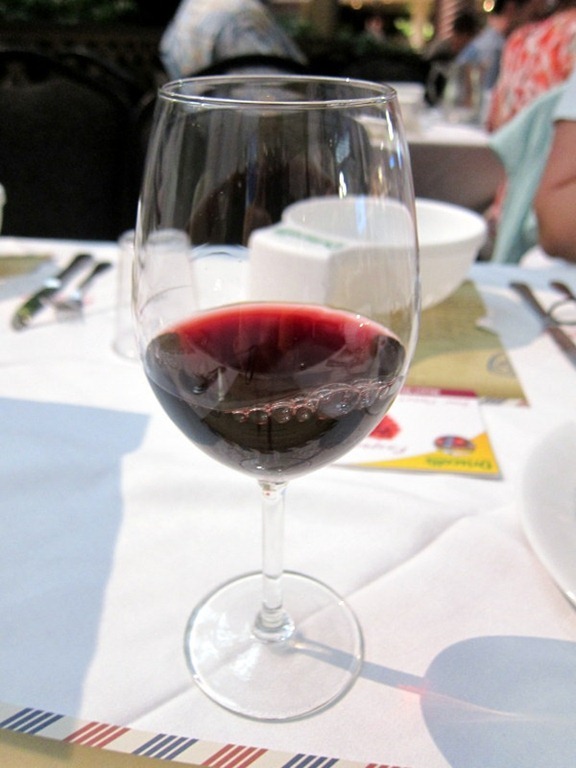 To kick off the event, everyone was served a glass of FroZin, a dessert wine from Meeker Vineyards, featuring fresh Zinfandel aromas and flavors. 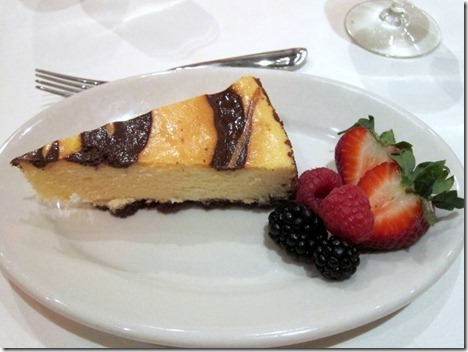 As someone who generally loves sweet dessert wines, I liked it immediately! The wine was paired with three different dishes created by celebrity chef Jon Ashton who was absolutely bursting with personality. 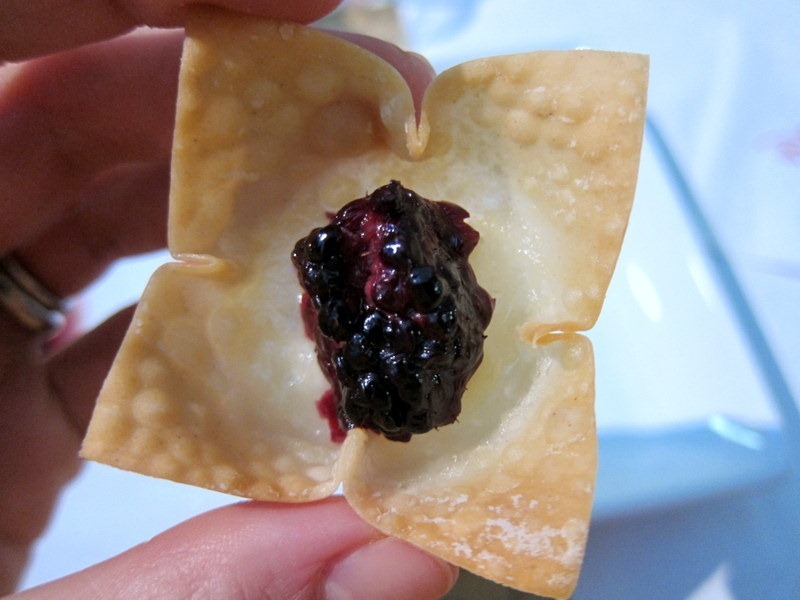 The first dish we sampled was a brie and blackberry wonton that featured roasted Driscoll’s blackberries. I’ve never roasted berries before and I couldn’t believe how much the flavor of the blackberries developed in the oven. 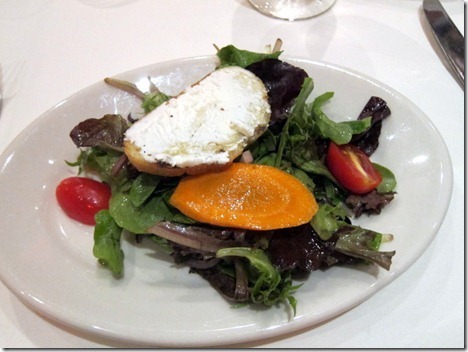 They were warm and sweet and paired perfectly with the salty, creamy brie. Up next was the strawberry bruschetta that took the cake for me! The combination of sweet strawberries, balsamic and ricotta had quite a few of us promising to make this recipe as soon as possible! 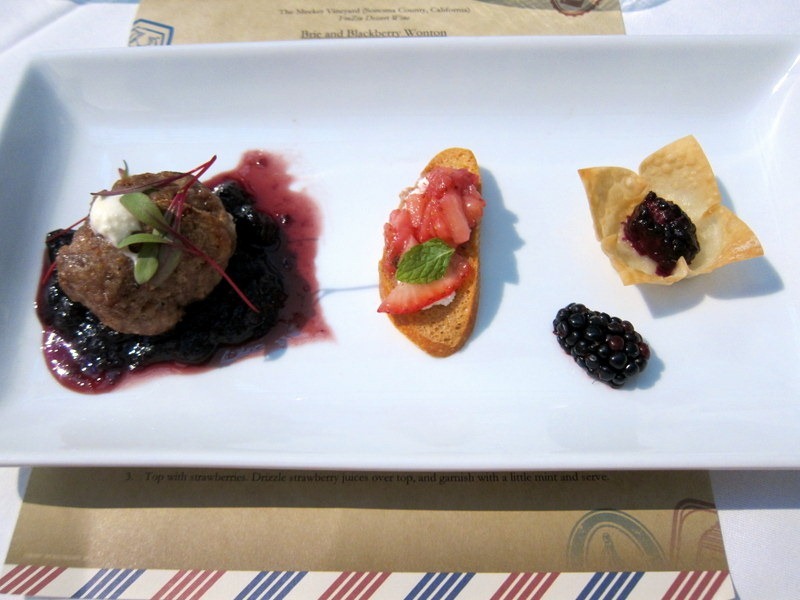 The third recipe from Chef Jon was a turkey meatball served with a savory blueberry jam that I may have to make again for dinner this evening! I have permission to share these recipes with you guys, so if any of them interest you, please let me know and I’ll be sure to type them up for you. During the tasting, after Chef Jon explained each of the dishes, Dr. Wendy Bazilian chimed in to explain the health benefits of the berries featured in each recipe. She highlighted the fiber and vitamin C content of the berries, as well as the antioxidant benefits and more. 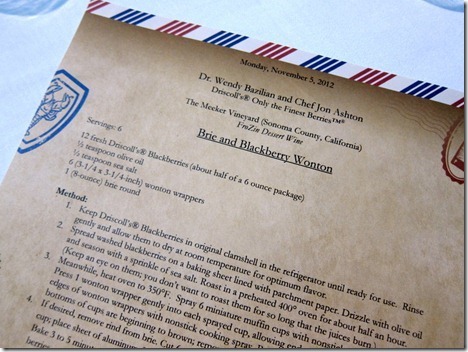 I ended up talking with Dr. Wendy in depth at dinner and she is a wealth of knowledge concerning food and nutrition. 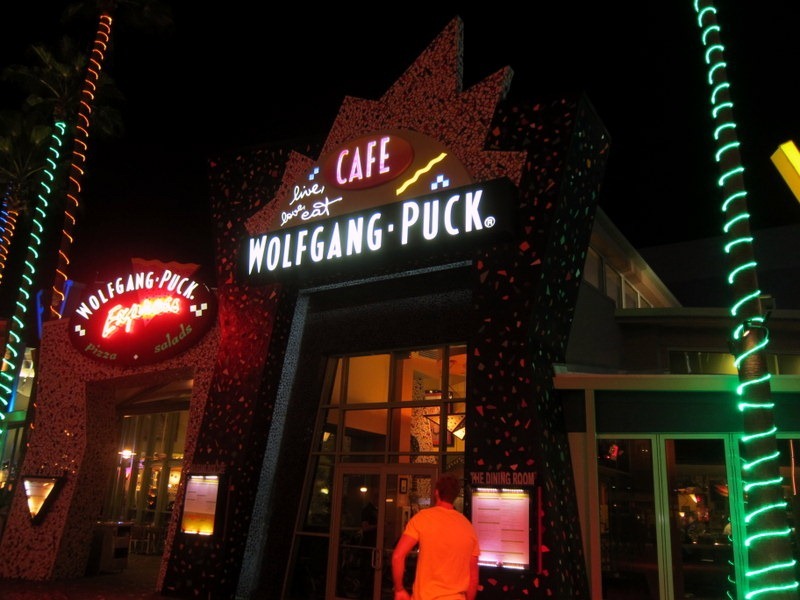 Following the presentation at Epcot, our group met up at Wolfgang Puck’s in Downtown Disney for dinner. 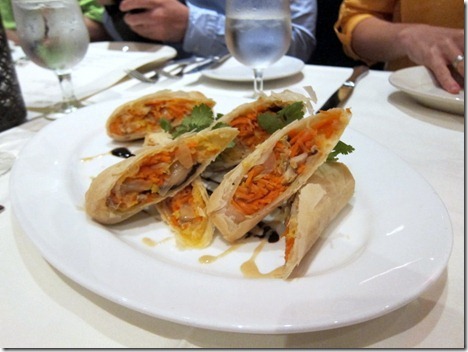 Our meal began with spring rolls! We each had one and the spring rolls set the tone for the delicious meal ahead. 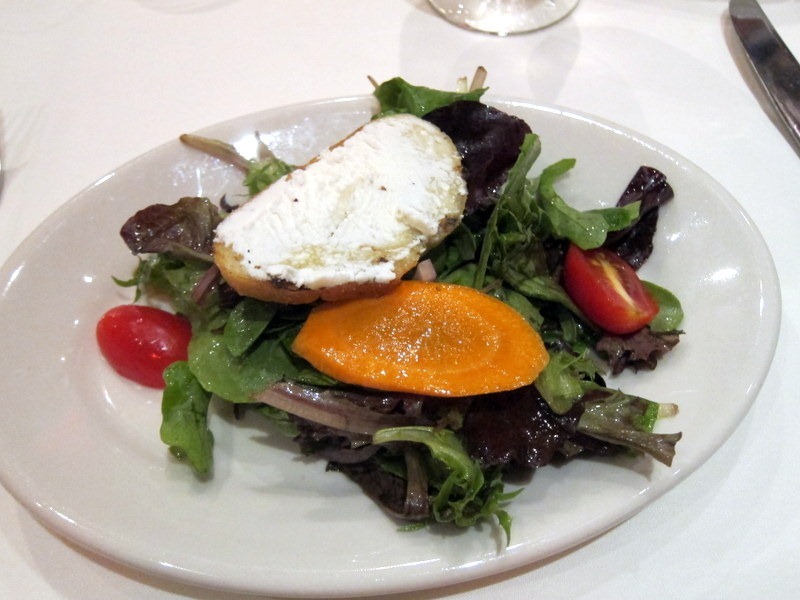 The salad course featured a mixed green salad with a goat cheese crostini and I cleared my plate with no trouble. Despite snacking away in the park all day, I was hungry! 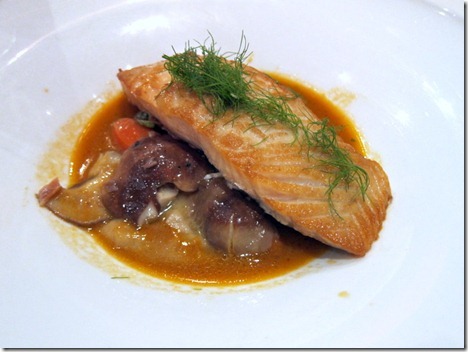 For my entrée, I selected the salmon that came in a lobster butter sauce. The sauce made the dish! It was so indulgent! Dessert included chocolate cheesecake served with fresh Driscoll’s berries. I was pretty full by this point and ended up eating my berries and about 2/3 of my cheesecake before throwing in the towel. 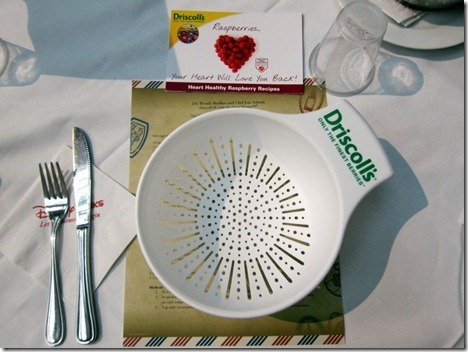 Dinner was a lot of fun and I loved meeting some of the Driscoll’s team and chatting with Dr. Wendy and my friend and fellow blogger, Ricky. Ryan and I didn’t arrive back in Ocala until close to midnight, so I’m moving a little slow this morning. Time to play catch up today! 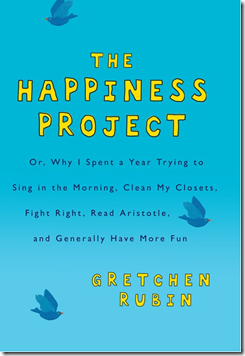 With 64.5 percent of the vote, the winning book for the November PBF Book Club is The Happiness Project! We’ll discuss this book on the blog on December 4! Ohh this looks like such a fun event!! 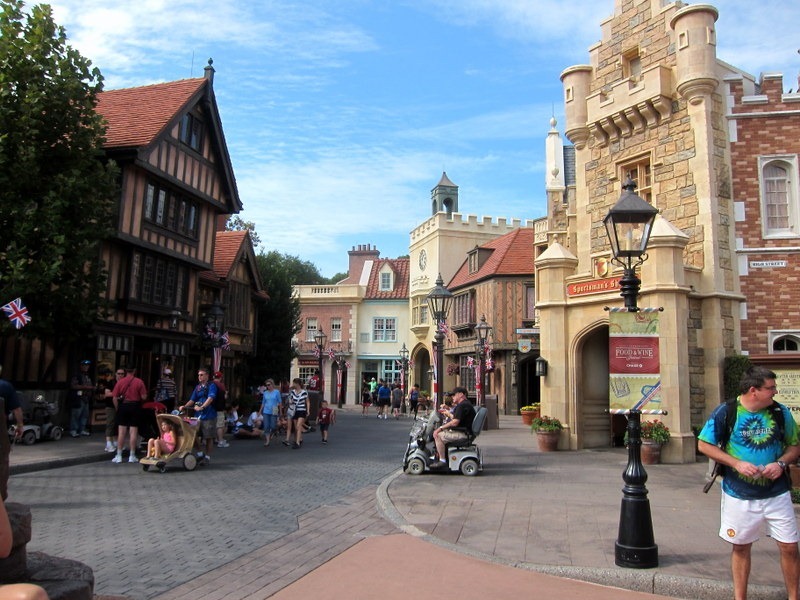 I went to Epcot (aka Disney World for us non-Florida based folks haha) a few years ago and had a great time- I loved the little cities! And please share the recipes- they all sound fantastic! 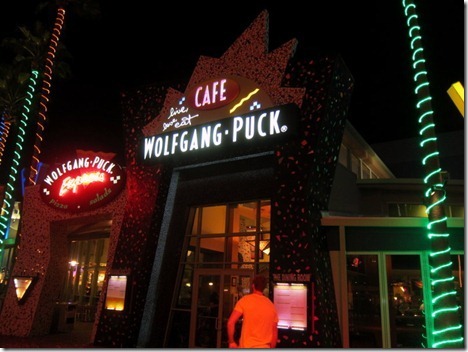 I have always wanted to go to this! I love Disney. I’m so glad you enjoyed yourself! 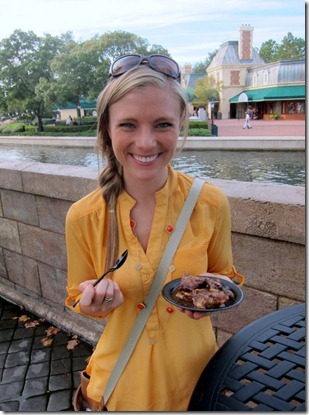 ahhhh disney AND amazing food?!!! Those two things are what I’ve been longing for today lol. 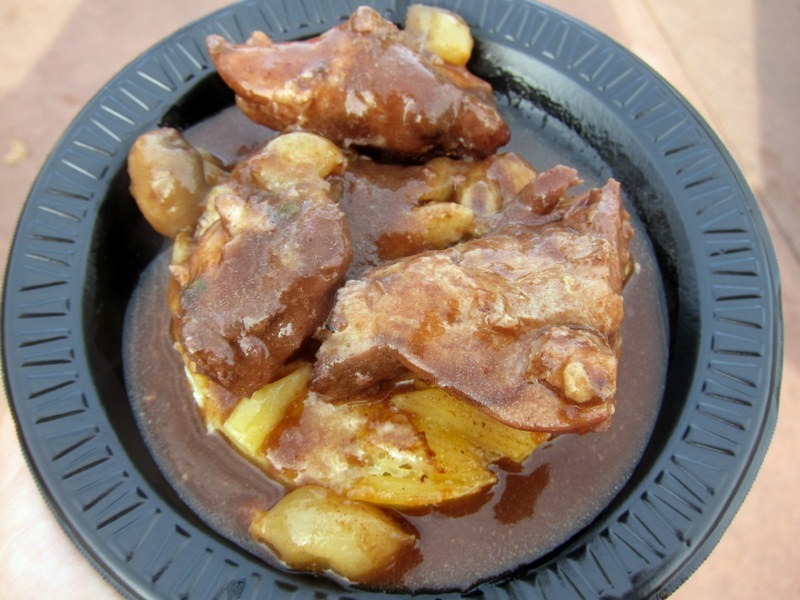 😀 The coq au vin looks so delicious, and I don’t think I’ve ever had it before, but I MUST. Epcot was one of my fav parks when I visited Florida…mainly because of the food! 🙂 Looks like a great day, jealous of your warm temps! Wow! What a day! I want to move to Orlando area. All of the food looks amazing. Can’t wait to read the new book club selection. I read the Happiness Project a few months ago. I can’t wait to participate in the discussion. It really was an awesome book. We plan to take our girls to disney for the first time in the next couple months and that food looks amazing!! Ill have to remember this! I’m excited to take part in my very first book club! I can’t wait to start reading! 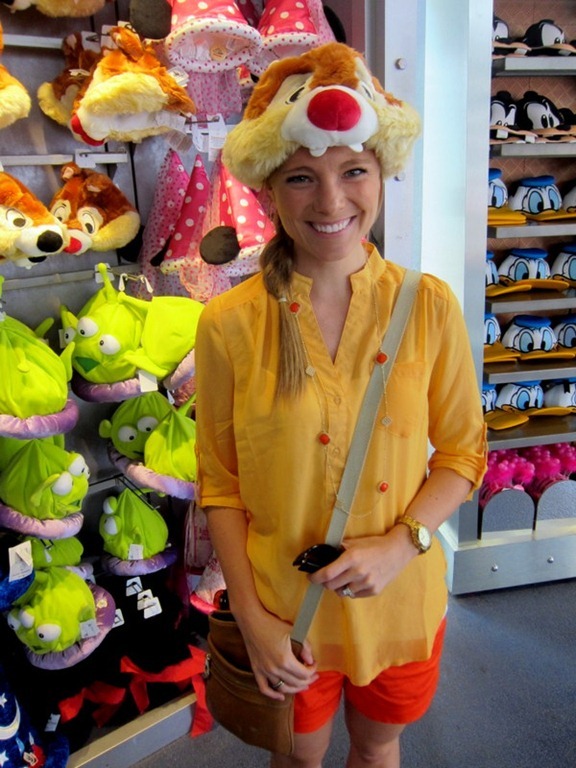 I looove Disney! My husband and I went there on our honeymoon in 2011, and I’ll be going in February for the Disney Princess Half! All of the food looks delicious! I would love the turkey meatball and berry sauce recipe for sure. I would love the others as well. My husband and I just spent the weekend at Disneyland (without the kids) and ate at the Storytellers Cafe in the Grand California resort. So delicious! 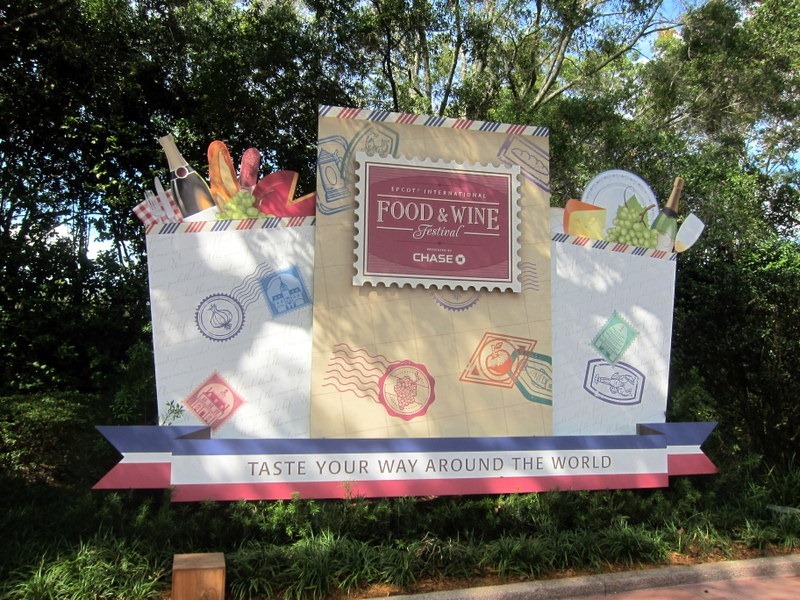 I’ve never been to the Food & Wine Festival. Need to put that on my bucket list. Did they give out recipes? The coq au vin looks amazing. 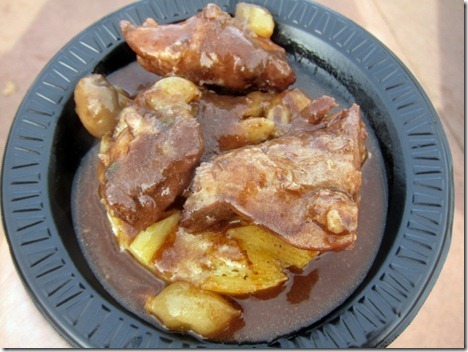 I ordered the Food & Wine Festival book from the Disney Store, but I don’t think they had the recipe in it. Will have to look again. they didn’t but i WISH they did! 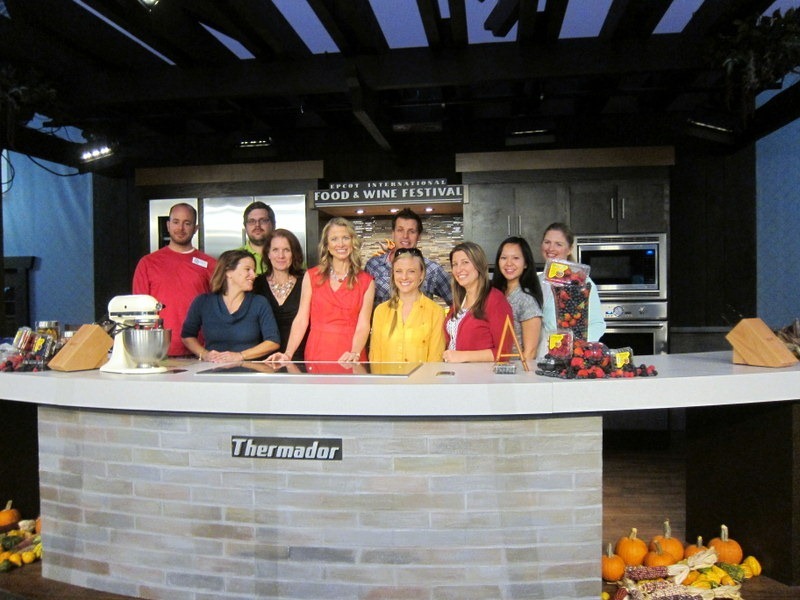 I did the wine and dine half marathon two years ago and it was so much fun. 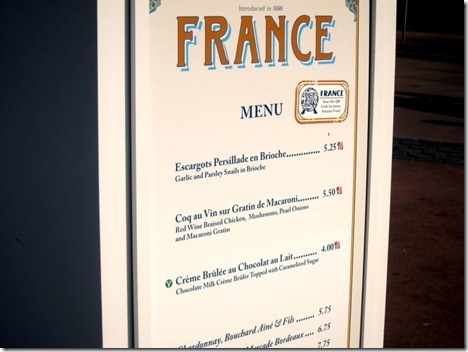 Love that festival at Epcot. I also road that mission space ride and it was horrible! I got so sick! I LOVE the happiness project! It was one of my more recent reads, and it’s truly a great story! Let me know what you think! Hi Julie! 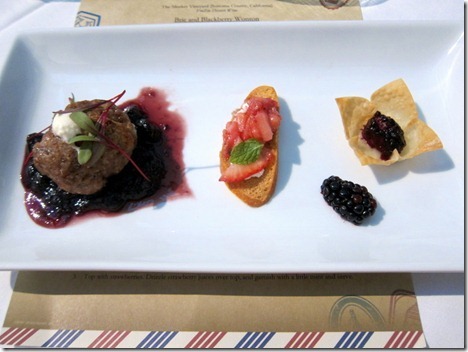 I would love the turkey meatball with savory blueberry jam recipe. Sounds delicious! Thank you so much :). By the way, I absolutely love following your blog. Let me know next time you’re in Denver… though we are planning on moving to Florida sometime next year. 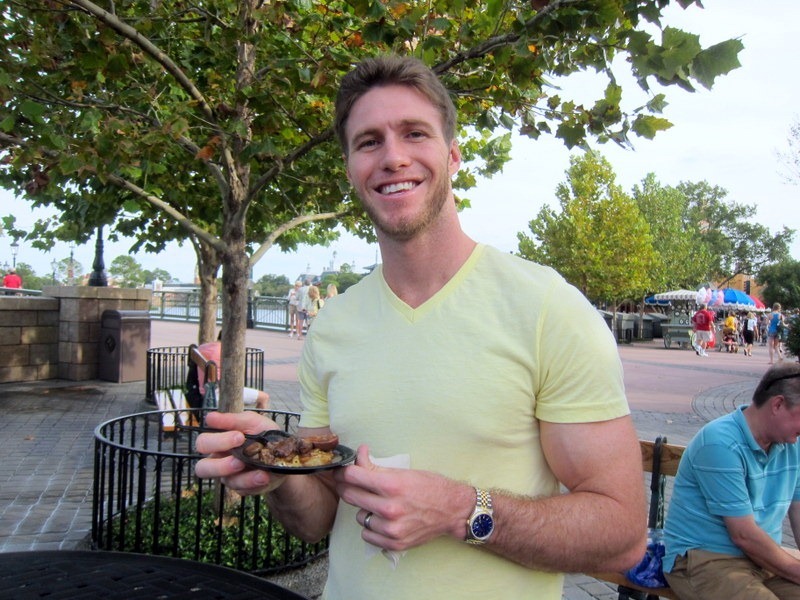 I actually am starting a Paleo food blog. Take care! Ohmygosh all of that food looks so so so delicious! Lucky girl. Disney + food = best possible combination ever. Also, you’ll probably love the Happiness Project! 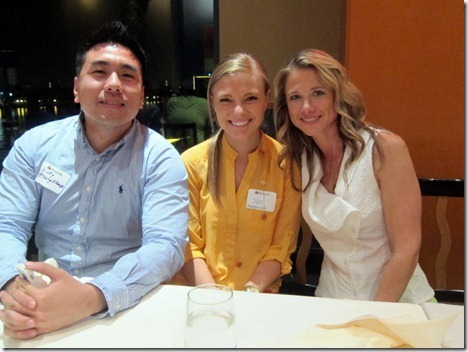 I used to avidly follow the Happiness Project blog and found it so interesting! Really makes you think about how to make the best life and habits for yourself and how important happiness is and why it must be prioritized. Ahh how exciting! I love the different countries at Disney. Oh and the food you ate is pretty impressive too 😉 Thanks for sharing. Ps. 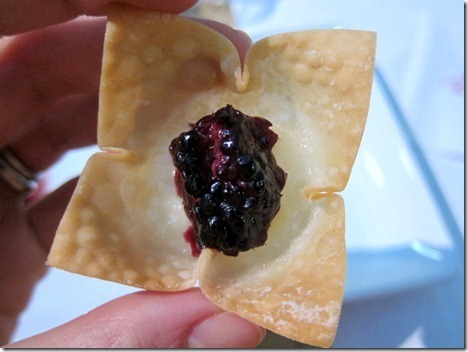 I noticed some things look different on the blog today- formatting, buttons etc. Nice job! First of all, it’s great to know that we’re not the only ones still in shorts! 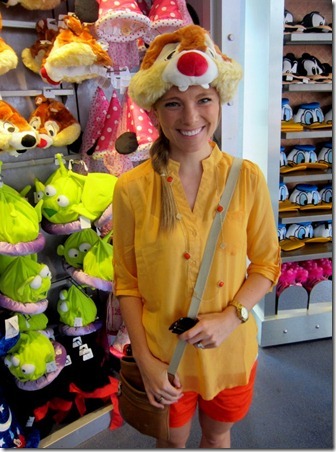 😉 I’ve only been to Epcot once and now I really want to go back! 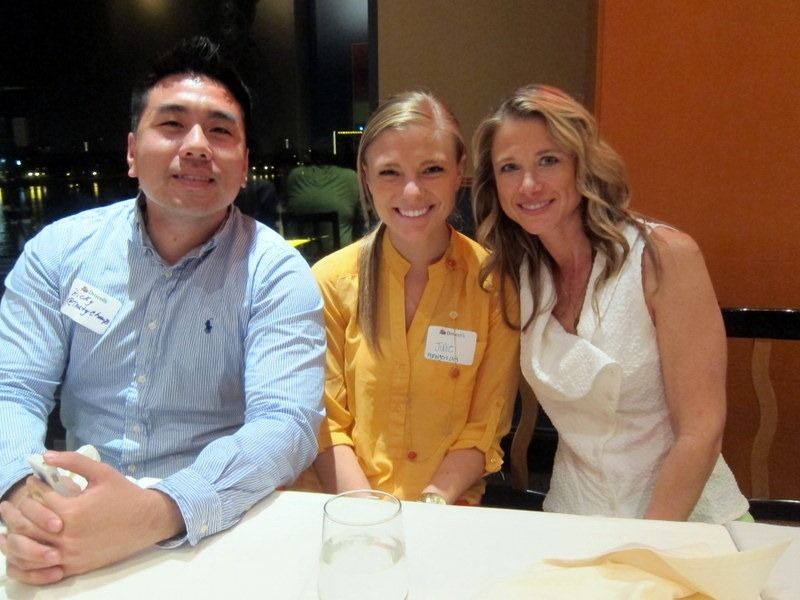 So excited to see that you picked a Korean meal as one of your favorites! The magic is in the kimchi..goes with everything! What a wonderful day to spend the day! 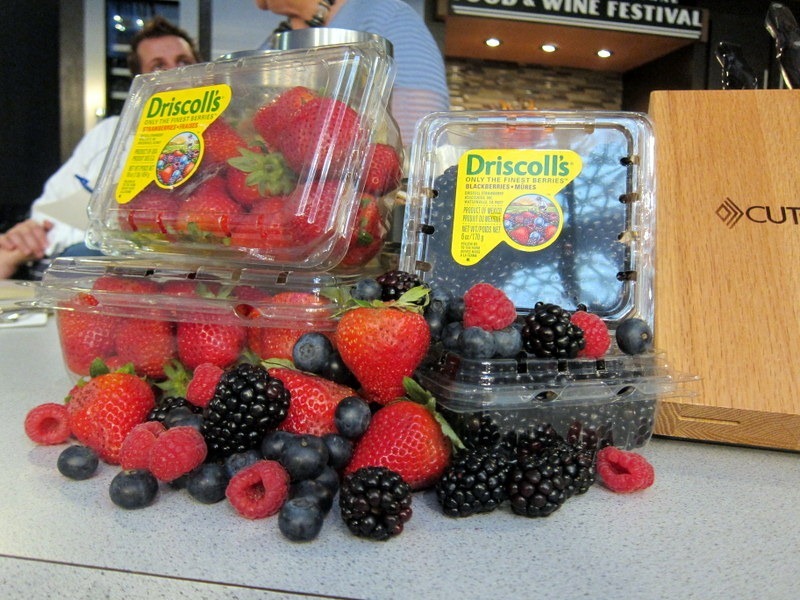 I’d love it if you could share the berry receipes you mentioned, they sound amazing and perfect for the holidays! That looks like a pretty awesome day! 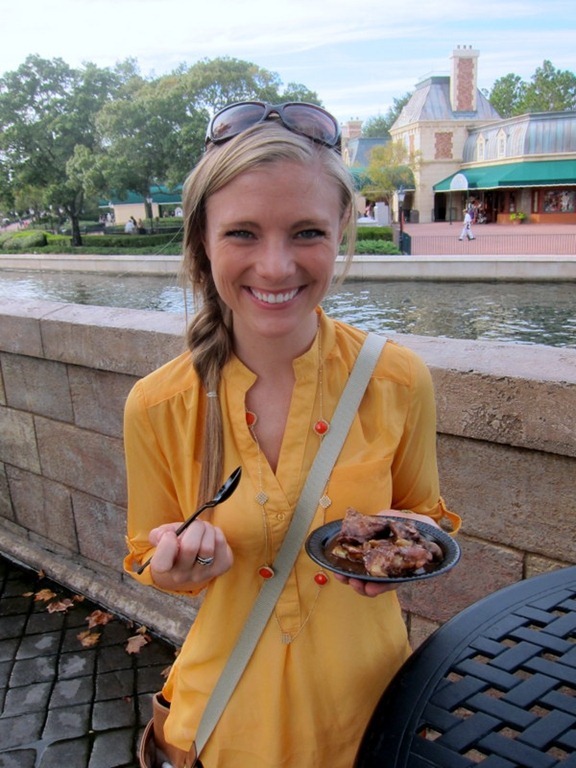 I LOVE Epcot and eating! How do you get invited to all this great stuff? most of the time i get an email invitation from the company or a press release! You’re really lucky getting to go to that! My Aunt & Uncle went and it sounds like a really lovely thing to do. We were just there last week and thought everything was fantastic also. South Korea was a fav of ours too! We also loved the pot stickers from china. The filet w mushroom risotto from Canada. The Italian margarita from Italy! The California rolls from Japan. Te orange chicken from china was a great place for a predinner snack! 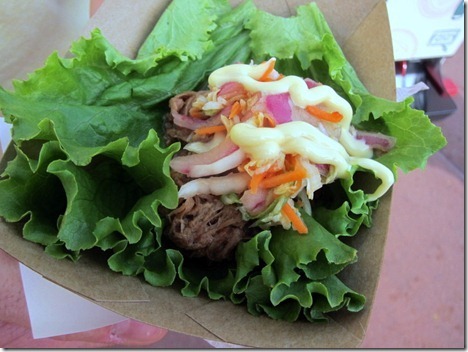 The beef tacos we yummy in Mexico. The skinny margarita was great too! Lol! I really wanted to try the waffle but I was outta room! I ended the day with teppen Edo for dinner. Of course we took small bites all day. It’s fun that way! Dessert was a chocolate Carmel cookie from Germany!